View More In Styluses - Page 2. 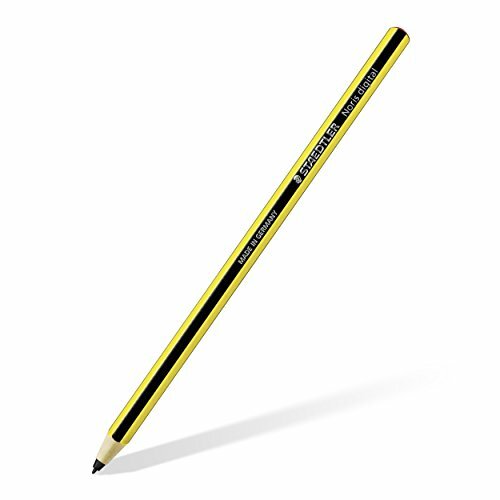 Staedtler Noris Digital Pen (Yellow Black). Compatible with various Samsung devices: -	Tablet: Galaxy Note 10.1 2014 / Galaxy Tab A 9.7 with S pen / Galaxy Tab A 10.1 with S pen / Galaxy Tab S3 / Galaxy Note pro 12.2 / Galaxy Tab A 8.0 with S pen / Galaxy Book -	Phone: Galaxy Note3 / Galaxy Note4 / Galaxy Note5 / Galaxy Note3 Neo / Galaxy Note Edge -	Chromebook: Chromebook Plus / Chromebook Pro -	Notebook: Notebook 9 Pro 13.3" / 15.0"